A police officer was among the victims in the New Year's Eve attack. 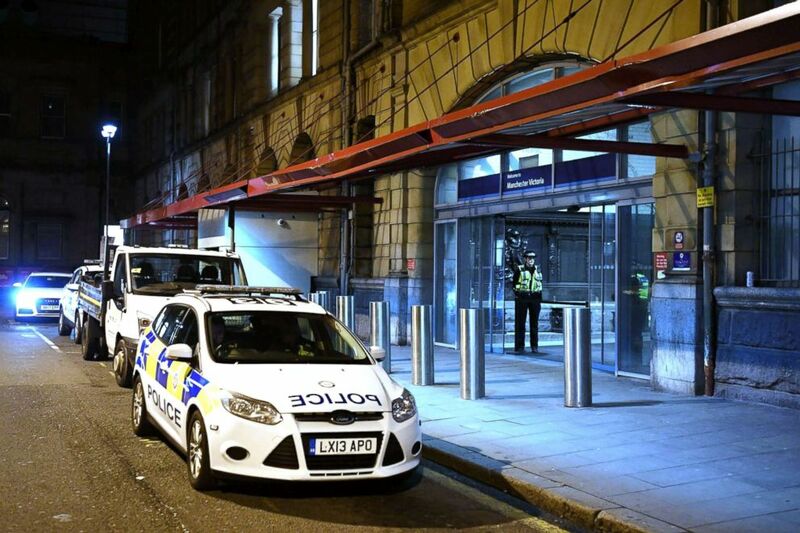 A police officer was among three people stabbed on New Year's Eve in Manchester, England, in what authorities are considering a "terrorist incident." (Paul Ellis/AFP/Getty Images) Police officers stand near a cordon at Manchester Victoria Station, in Manchester, England, on Jan. 1, 2019. 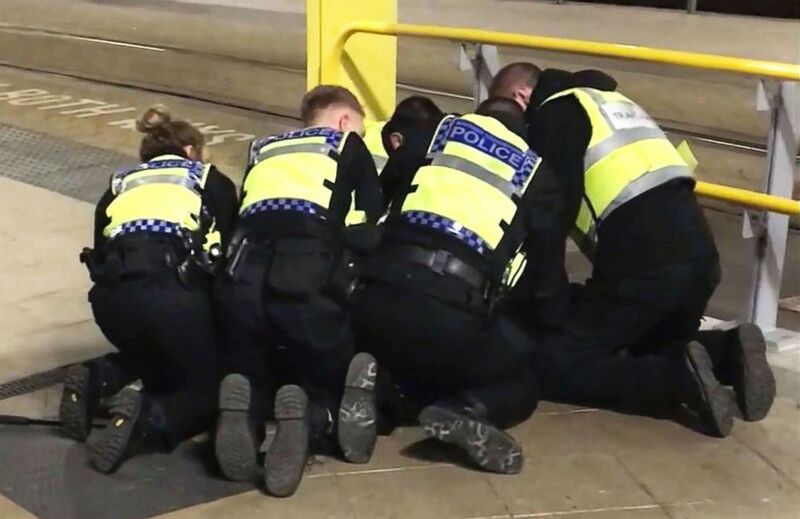 (Sam Clack/PA via AP) Police restrain a man after he allegedly stabbed three people at Victoria Station in Manchester, England, late Monday, Dec. 31, 2018.